Frank Miller has created a lot of strong female comic book characters over his career in comics. From Electra to Nancy Callahan he has always promoted the power they have as tool to tell a good story. We first saw one of his greatest creations Carrie Kelley back in 1986 when Dark Knight Returns was first published. She was quickly promoted to Robin after saving Batman’s life, then adopted the title of Catgirl in Dark Knight Strikes again. 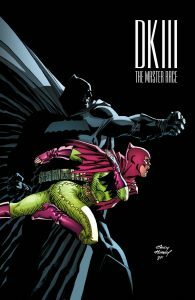 Now with DKIII Mastrer Race she started off as the new Dark Knight for an issue. Now thanks to a preview cover for the upcoming DKIII #6 we finally see her take the well deserved mantle of Batgirl. 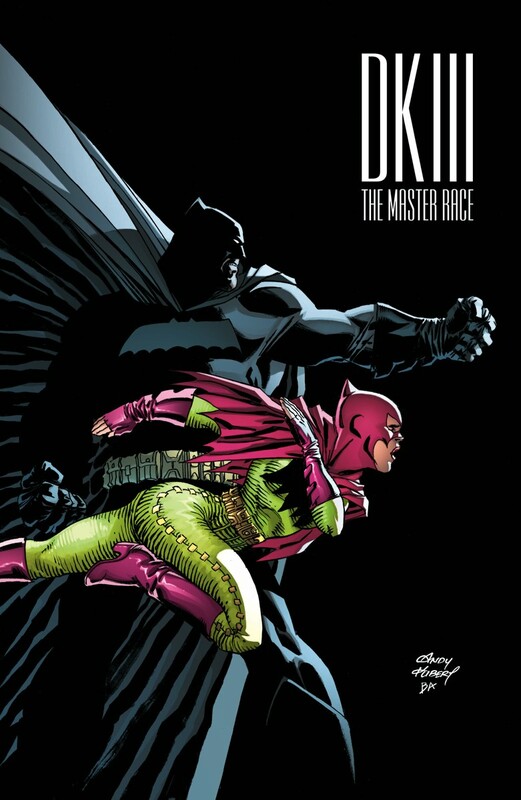 The cover for DKIII #6 shows her with Batman in her new Batgirl costume. It’s following suit with Batman and looks based on a modernised 70s era Batgirl. It looks very similar to the Yvonne Craig Batgirl from the old Adam West Batman series which arguably was probably the best we’ve seen her. It’s amazing that a character that’s thirty years old this year can still evolve and I still don’t think we’ve seen her really bloom in comics yet. With this series taking us up towards the end of the year combined with this being the biggest selling DC comics series for a long time it’s likely they will want to launch a new Frank Miller Dark Knight series soon after this one ends. There are only so many times Batman can come out of retirement and a Carrie Kelley Batgirl comic could be on it’s way. Especially since we probably wont see her suit up as Batgirl until the last issue. Can you imagine what it would be like to see Carrie take on a bunch of Amazon warriors in a new spin off series or DK IV. It’s something I’d love to see.